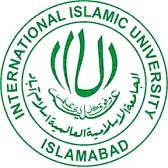 The International Islamic University is a unique institution of higher learning which integrates the two parallel streams of religious and other education systems. The foundation of the Islamic University, Islamabad was laid on the first day of the fifteenth century Hijrah i.e. Muharram 1, 1401 (November 11,1980). This landmark of the beginning of the new Century symbolizes the aspirations and hopes of the Muslim Ummah for an Islamic renaissance. The university was created to produce scholars and practitioners who are imbued with Islamic ideology, whose character and personality conforms to the teachings of Islam, and who are capable to cater to the economic, social, political, technological and intellectual needs of the Muslim Ummah.